panguni uthram is a very special day for srIvaishNavas for many reasons. 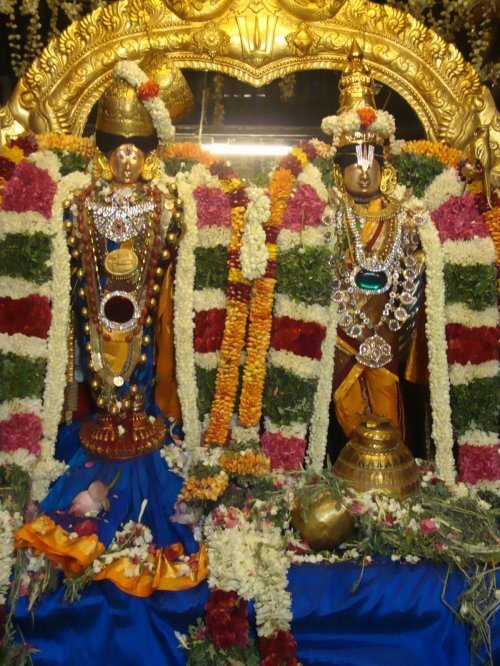 It is the thirunakshathram (appearance) day of periya pirAttiyAr (srI ranganAyaki). On this day, namperumAL (srI ranganAthan) visits thAyAr sannidhi and enjoys a wonderful (and lengthy) thirumanjanam with thAyAr. 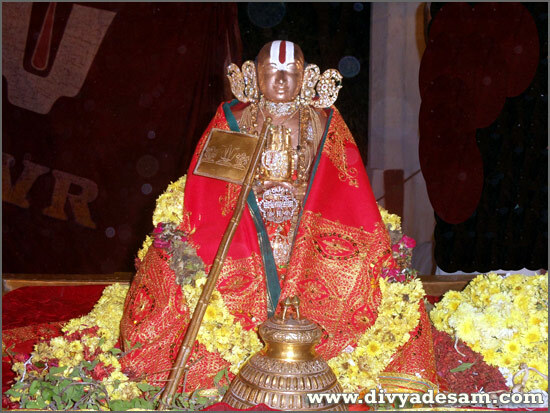 It is the day when perumAL (srI rAman) married sIthA pirAtti. 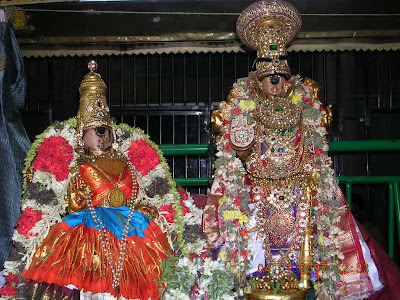 It is the thirunakshathram (appearance) day of nanjIyar who is the dear sishya of bhattar and dear AchArya of nampiLLai. 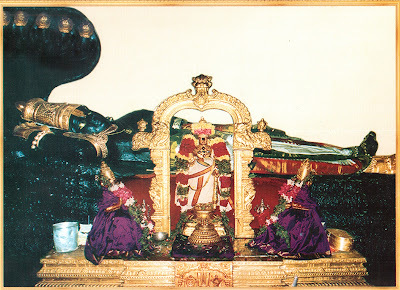 But beyond all of these, this is the most auspicious day for srIvaishNavas since emperumAnAr recited gadhya thrayam (sharaNAgathi gadhyam, srI ranga gadhyam, srI vaikunta gadhyam) in front of the dhiyva dhampathi (divine couple) on this day. Once, during a panguni uthram day, when namperumAL and nAchiyAr were together in the panguni uthra mahA mandapam, emperumAnAr arrives there. 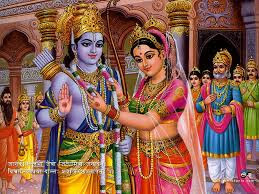 Being anguished at the cruel nature of samsAram and wanting to reveal the upAyam which is most dear to his heart, he started reciting the 3 gadhyams and performed sharaNAgathi in front of the divine couple. sharaNAgathi literally means accepting emperumAn as upAyam to accomplish the ultimate goal (kainkarya prApthi in our case). In this, emperumAnAr fully enjoys emperumAn's presence in srI rangam as srI ranganAthan. Since, in this world, the meaning of dhvaya mahA manthram is fully manifested in dhivya dhEsams as archAvathAra emperumAns, our pUrvAchAryas usually were fully focussed on dhivya dhEsa emperumAns. saulabhyam (easy accessibilty) is the most adorable quality of emperumAn and is fully revealed in archAvathAram. emperumAnAr enjoys this auspicious quality of saulabhyam in this gadhyam. In this, emperumAnAr beautifully describes the variegated nature of paramapadham and glorifies the same. Here bhagavAn's parathvam (supremacy) is fully enjoyed. 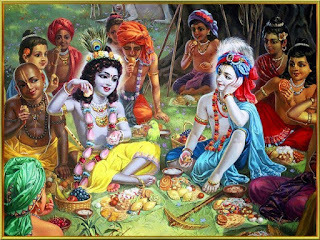 The ultimate result of serving in parampadham is established in this gadhyam. Let us delve into the beautiful meanings that are revealed in periyavAchAn piLLai's vyAkyAna avathArikai (introduction to commentary) for gadhya thrayam. periyavAchAn piLLai explains the purpose for emperumAnAr's gIthA bhAshyam and gadhya thrayam. 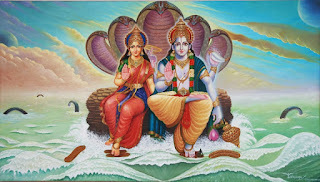 the purpose of gIthA bhAshyam is to establish (karma/gyAnam based) bhakthi yOgam as upAyam and to defeat kudhrushtis (one who interpret vEdha/vEdhAntham wrongly). the purpose of gadhya thrayam is to establish prapathi (emperumAn) as upAyam. Since vEdhAntham focusses on (gyAnam based) bhakthi, in gIthA bhAshyam, emperumanAr focussed on the same to establish vEdhAntham. Since AzhwArs/AchAryas focussed on prapathi (emperumAn) as the only upAyam, emperumAnAr revealed that principle which is very dear to his heart in gadhyams. Just like vEdham cannot be taught to avaidhihas, emperumAnAr did not reveal the most confidential prapathi to the ones who are mis-interpreting vEdham. He defeated them and established the validity of vEdham using gyAnam/bhakthi which are acceptable to them. But he reveals his own sidhAntham of prapathi through gadhya thrayam . emperumAnAr performed sharaNAgathi in front of the dhivya dhampathi, established the glories of prapathi and also showed to us that emperumAn is the upAyam for us. Both bhakthi and prapathi are established upAyams (means) to reach emperumAn. But our pUrvAchAryas have always accepted emperumAn as the upAyam and did not consider anything else other than emperumAn as upAyam. Let us quickly see the differences between bhakthi and prapathi as shown by periyavAchAn piLLai in sharaNAgathi gadhya pravEsam (introduction). The ultimate goal is accomplished potentially after many more births. The ultimate goal is accomplished at the end of this birth itself. There is potential for us to falter in our actions. Once surrendered, emperumAn will ensure that we dont falter. The process/means (bhakthi yOgam) needs to be accomplished by our action (of bhakthi yOgam). The process/means (emperumAn) is already established. 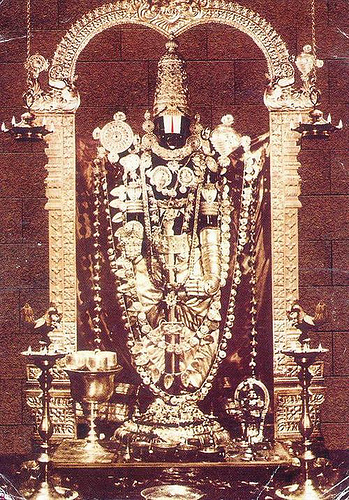 bhakthi yOgam does not fit the svarUpam of jIvAthmA. 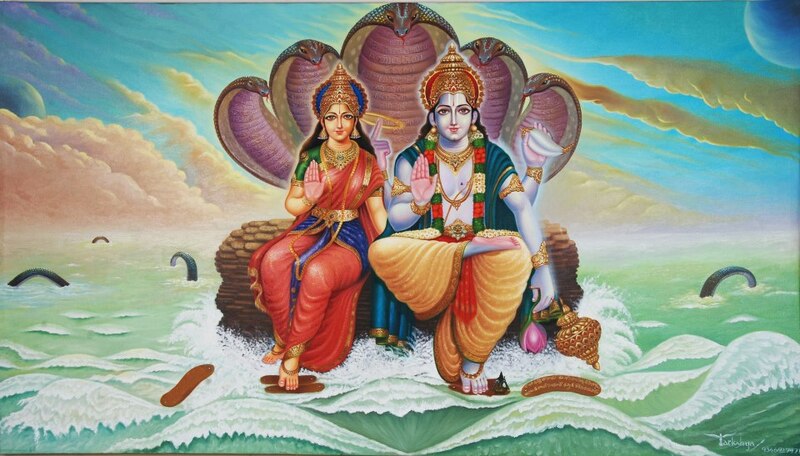 Since jIvAthmA is naturally subservient to bhagavAn, jIvAthmA independently performing some action to accomplish emperumAn does not fit the svarUpam. Since emperumAn is the upAyam, and accepting that emperumAn is upAyam is just a natural attribute of jIvAthmA, this is perfectly fitting for the jIvAthma svarUpam. vEdhAntham also categorically declares prapathi as the top most upAyam. prapathi is considered as the best upAyam by our pUrvAchAryas as well. And, since sAsthram itself says "dharmagya samayam pramANam, vEdhAs cha" (ApasthambasUthram) meaning "True scholar's conclusion is the main authority, vEdham is also an authority" - here the conclusion of our pUrvAchAryas take precedence even over sAsthram. Thus, since our pUrvAchAryas have accepted emperumAn as the upAyam we can also easily accept the same. emperumAnAr reveals this most confidential upAyam to ensure that his followers (who are fully situated in sathva guNam) should understand this most valuable information in detail. 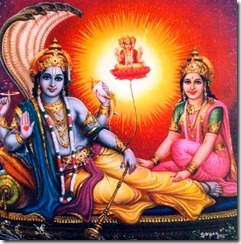 Out of his unlimited grace, he reveals this glorious gadhya thrayam for the benefit of his own followers. periyavAchAn piLLai himself brings up an important question. emperumAnAr already performed sharaNAgathi while under-going samAsrayaNam from periya nambi long ago - so why is he doing this sharaNAgathi again? perumAL (srI rAman) himself said "sakruthEva" (only once) revealing his thiruvuLLam (divine heart) while speaking rAma charama slOkam. For the ones who surrender unto me only once, I will bestow them fearlessness from all beings. This is my vow. nammAzhwAr who said to emperumAn "kaLaivAi thunbam kaLaiyAthozhivAi kaLaikaN maRRilEn" - if you remove my sorrows thats fine, otherwise its fine as well - I wont do anything. So, why is emperumAnAr performing sharaNAgathi again? periyavAchan piLLai himself beautifully explains that since emperumAnAr is unable to bear the sorrows of samsAram, out of great Arthi (anguish), he is again performing sharaNAgathi here. 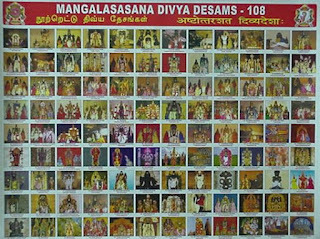 AzhwArs showed this in their pAsurams. For example, nammAzhwAr performed sharaNAgathi repeatedly since he was unable to bear the separation from emperumAn. 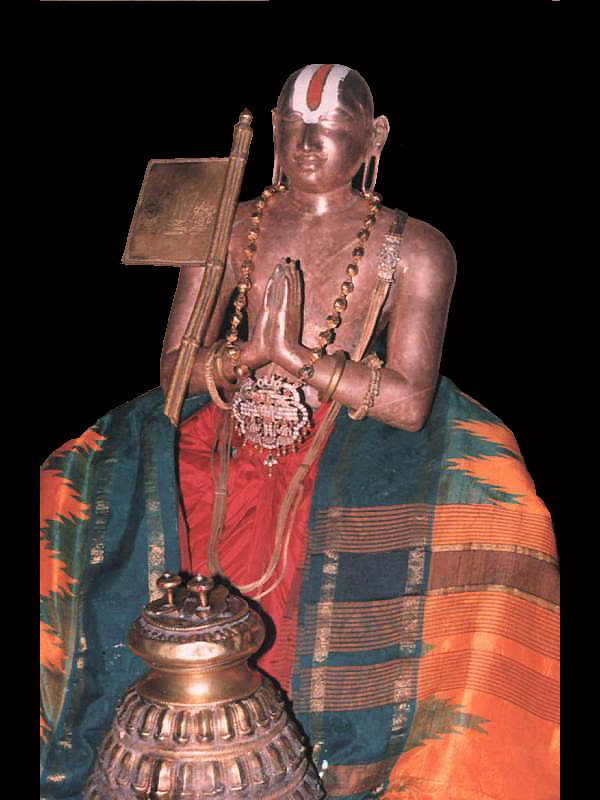 In thiruvAimozhi, nORRa nOnbilEn (5.7), ArAvamuthE (5.8), mAnE nOkku (5.9), piRanthavARum (5.10) and ulagamuNda peru vAyA (6.10) are all AzhwAr's padhigams where he performs sharaNAgathi. Since our pUrvAchAryas follow our AzhwArs fully, they also follow suit. When they realise the cruel nature of this samsAram and the divine anubhavam that is waiting in paramapadham, AzhwArs/AchAryas perform sharaNAgathi so many times (not just once or twice). Our pUrvAchAryas established that emperumAn is the upAyam and our sharaNAgathi is just accepting that he is the upAyam. Since emperumAnAr is declared as udayavar/swAmy (the master for both nithya vibhUthi and leelA vibhUthi) by emperumAn himself, we are also most fortunate to have the divine kainkarya prApthi at the end of this sarIram (body) itself due to our relationship with emperumAnAr through our guru paramparai. Let us always meditate on the divine lotus feet of emperumAnAr and be uplifted. So far, we have observed the nature of chith (http://ponnadi.blogspot.in/2013/03/thathva-thrayam-chith-who-am-i5631.html) and achith (http://ponnadi.blogspot.in/2013/03/thathva-thrayam-achith-what-is-matter.html). This article can be viewed as a presentation by clicking https://docs.google.com/presentation/d/1Q6qEuvsuGTv4z_5--HYzlLfRFkdprThj3xmqWoyqKCQ/present#slide=id.p. First emperumAn's svarUpam (distinct nature) is explained in detail. Thathe is completely different from all other entities is established right upfront. He being the in-dwelling (controlling) soul of all entities does not affect him in any way, just like jIvAthmA (soul) does not get affected by the changing bodies. He shows great concern towards the suffering jIvAthmAs (souls) and is constantly looking for the well-being of them. He constantly tries to help them when they are in distress. He does not look at their defects which arise out of their birth, knowledge, actions, etc. He protects them when neither they themselves can protect them nor others can protect them. He performs miraculous activities to please them as he (kaNNan emperumAn) did in the case of sAndhIpani muni (bringing back his dead son) and the brAhmaNa (bring back his sons who were taken away by SrI mahAlakshmi to paramapadham to have the divine vision of krishNan in paramapadham). He makes himself fully available for them. He feels self satisfied after helping them as if his own personal task was accomplished. Without considering the favours done by him, he looks out for the minimum virtues done by the surrendered ones and helps them forget the taste for material aspirations that is present in them since time immemorial. He ignores their mistakes like a man who ignores the mistakes of his dear wife and children. Even if SrI mahAlakshmi points out the defects of the surrendered person, he simply diregards them. He consumes their defects with great love, just like a man in love would like the sweat etc., of his beloved. In separation, he feels greater distress compared to the surrendered ones. Just like a cow kicks out and pushes away the older calves when a new calf is born out of great attachment and concern, emperumAn pushes away SrI mahAlakshmi and nithyasUris when a new jIvAthmA (soul) surrenders to him. bhagavAn is the cause of all the worlds. Some say that atom (lowest particle) is the primordial cause. Since this is contradictory to plain perception and SAsthram, they cannot be accepted as the primordial cause. Others say matter is the primordial cause. Since matter does not have knowledge and does not transform on its own without the intervention of bhagavAn, matter cannot be the primordial cause. badhdha chEthanas (jIvAthmA- individual soul) like brahmA, rudhran, etc cannot be the primordial cause.Since they are bound by karmA and go through sufferings, they cannot be the primordial cause. Thus ISwaran is the only primordial cause. He is being the cause not due to ignorance, karmA, others’ orders etc but out of his own desire and will. Since creation, sustenance and dissolution happen out of his own desire, there is no suffering in these for him. The whole process is only for his pastime. But would his pastime be interrupted in samhAram (dissolution)? Since samhAram is also part of his pastime, there is no interruption. mAmunigaL beautifully shows a practical example - when children play with sand castles, at the end of their play they knock down the castle as a part of the pastime with full joy. Similarly, dissolution is also a pastime in bhagavAn's activities. Since he transforms his own body into this material world, he is the material cause. Note: There are 3 causes: upAdhAna kAraNam (material cause), nimiththa kAraNam (instrumental cause) and sahakAri kAraNam (supporting cause). For example, in making a pot, sand and clay are the material cause, the potter is the instrumental cause, his stick and wheel are the supporting cause. But since there is no change to his svarUpam he is called nirvikAra (unchangeable). It is only his body (chith and achith) that gets transformed. Spider makes a web from its own saliva and then it consumes it again. If a spider can do this, why can’t ISwaran who is omnipotent (capable of doing anything) do the same? He is the full controller of all these activities. samashti srushti (upto the creation of pancha bhUthas) are done by bhagavAn himself directly and vyashti srushti (various beings, manifestations, etc) are done indirectly by bhagavAn being the antharyAmi of other beings. srushti is done through brahmA, prajApathis, time and all beings by being present as their in-dwelling soul. srushti is done in rajO guNam (the mode of passion). sthithi is done in sathva guNam (the mode of goodness). pulling back the jIvAthmAs into a subtle state to minimize their attachment to material aspirations. This is similar to keeping one’s own uncontrollable son under arrest for the well-being of the son. samhAram is done by being the antharyAmi of rudhran, agni, time and all beings. 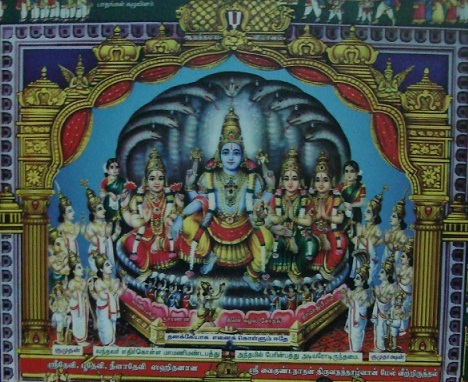 samhAram is done in thamO guNam (the mode of ignorance). If some are joyful and others are in distress, would that not reflect partiality and cruelty in bhagavAn's part? Not at all - since everyone gets his/her body based on his/her karmA, and all actions are done to reform/uplift the jIvAthmA slowly into a higher state, there is no partiality or cruelty in bhagavAn's part. bhagavAn performs srushti, sthithi, samhAram with a divine form as stated by nammAzhwAr in 3.2.1.
more enjoyable than his svarUpam (nature), guNam (quality), etc. fully revealing of his true nature unlike material body which covers the soul’s knowledge. 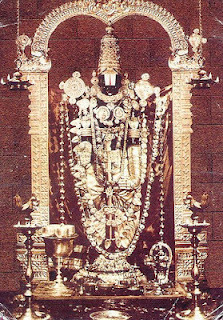 These are briefly discussed at http://ponnadi.blogspot.in/2012/10/archavathara-anubhavam-parathvadhi.html. paramapadham is described as the place of endless bliss and innumerable auspicious qualities and where kAlam (time) is not the controller. In samsAram time is the controller - whether we want or not, time automatically transforms every thing. everything is spiritual in paramapadham. 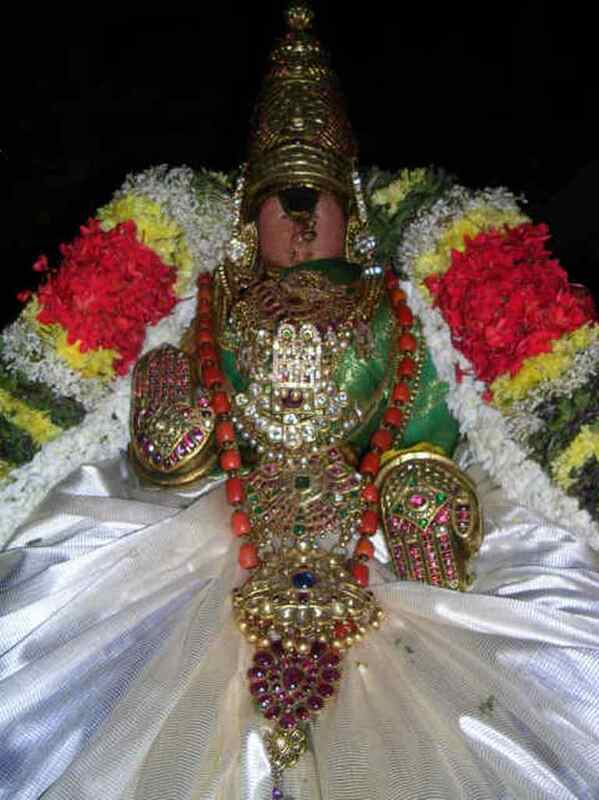 He along with his divine consorts SrI mahAlakshmi, bhU dhEvi and neeLA dhEvi are the prime focus. He exists there for the full enjoyment of nithya sUris (eternally free souls) and mukthAthmAs (the souls who were bound in samsAram before but free now in paramapadham). 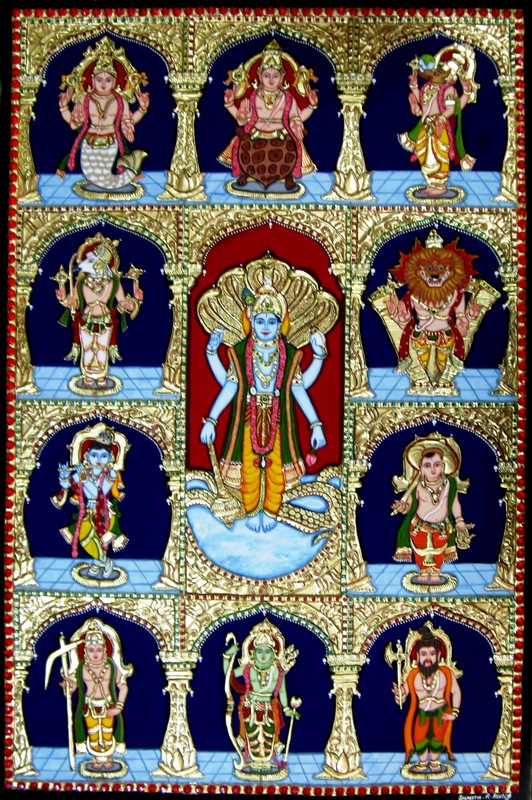 His auspicious qualities such as knowledge, strength etc are fully manifested in paramapadham. to be the object of meditation for the meditators. para vAsudhEvan first expands himself into vyUha vAsudhEvan. vyUha vAsudhEvan expands himself in to 3 more forms - sankarshaNa, pradhuymna and anirudhdha. gyAnam (knowlege) and balam (ability to support everything) are predominant in him. He presides over the jIva thathvam (soul) and distinguishes between soul and matter, and initiates the process of giving names and forms to them. He is responsible for establishing SAsthram (vEdham, vEdhAntham, etc) and samhAram (dissolution). He subsequently expands into pradhyumna form. aiSwarya (controlling ability/wealth) and vIrya (power) are predominant in him. He presides over the manas thathvam (mind). 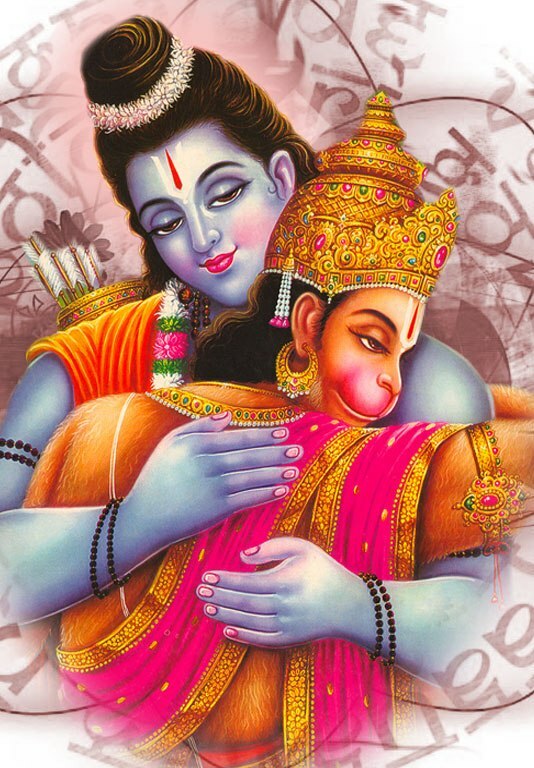 shakthi (strength) and thEjas (ability to handle anything individually) are predominant in him. creation of time and all entitieswhich are in the mixed mode of goodness, passion and ignorance. there are innumerable incarnations of bhagavAn. the forms are made of divine matter (just like in paramapadham). 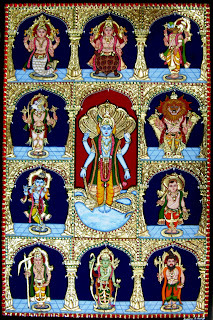 he carries all his auspicious qualities in full into these forms just like in paramapadham. just like a lamp which is lit with a match stick glows more than the match stick, his incarnations glow more than his form in paramapadham. 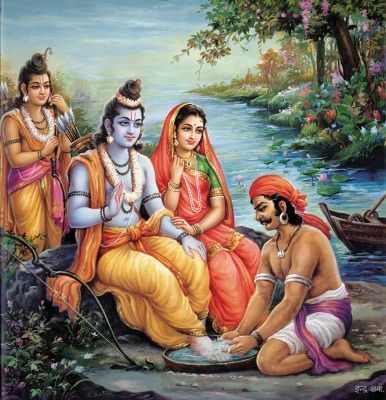 gauNam means giving his svarUpam (nature) or shakthi (strength) to jIvAthmAs to fulfil specific goals. 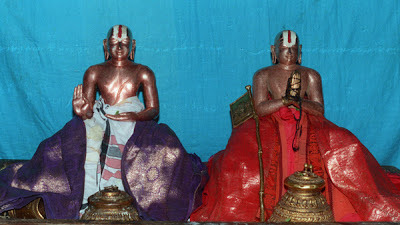 these are considered less important and not worshippable for mumukshus, because the purpose of these avathArams is to fulfil specific tasks only. 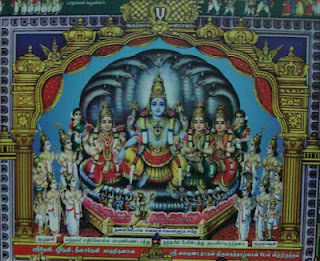 svarUpa AvEsam - bhagavAn giving his divine svarUpam (nature) to jIvAthmAs and descending with his divine form. Examples: parasurAma, etc. shakthi AvEsam - bhagavAn giving his powers alone to jIvAthmAs for specific purpose. Examples: brahmA, rudhran, vyAsa, etc. he descends into various incarnations purely by his divine desire. Though at times it is said that bhagavAn incarnates due to rishi's curse, etc, those are only pretext (false reason) and the real reason is his desire only. antharyAmi means being all pervaded and fully controlling all entities from within. Wherever jIvAthmAs go, bhagavAn also accompanies them to guide them. For the ones who want to meditate on bhagavAn, he mercifully appears with a divine form and his divine consorts within their hearts. He is constantly protecting the jIvAthmAs by being with them within their heart. this is explained as the epitome of all the different forms of bhagavAn. As poigai AzhwAr identified in mudhal thiruvanthAdhi 44th pAsuram, emperumAn happily accepts the form that is desired by his devotees. He ignores the faults/mistakes of his worshippers due to his causeless mercy. He fully depends on his worshippers for all of his actvities (like bathing, eating, sleeping etc). He descends into many temples (dhivya dhEsams, abhimAna kshEthrams, village temples, etc - everywhere irrespective of city, country, continent, planet, etc), mutts and our own homes. He creates the taste and attachment towards him through his archAvathAram. He is the abode of all auspicious qualities - all his qualities such as sauseelyam (magnanimity), saulabhyam (easy accessibility), vAthsalyam (motherly forbearance) etc are fully manifested and visible here. These qualities are subdued in paramapadham, since everyone is pure and fully realised in paramapadham. He is the refuge for everyone irrespective of his birth, knowledge etc. He is the most enjoyable as explained fully by AzhwArs and AchAryas. We have already enjoyed AzhwAr/AchAryas archAvathAra anubhavam in http://ponnadi.blogspot.in/p/archavathara-anubhavam.html. Even though he is the master and everyone else is dependent on him, he manifests himself as the dependent and fully dependent on his devotees. Thus we have seen the 3 entities namely chith, achith and ISwara in fair (detail. This is one of the most difficult subject matters since it involves many technical and in-depth aspects. We have seen the tip of the iceberg - there is so much more relishable explanations in mAmunigaL's vyAkyAnam for this divine grantham thathva thrayam of piLLai lOkAchAryar which is called kutti bhAshyam (the essence of emperumAnAr's SrI bhAshyam). Let us glorify our SrIman nArAyaNan, AzhwArs and AchAryas for providing us with these great literatures which are more valuable than anything else for us. adiyen is grateful to Sri U.Ve. P B Sampath swamy who taught thathva thrayam (both the text and meanings) to adiyen.